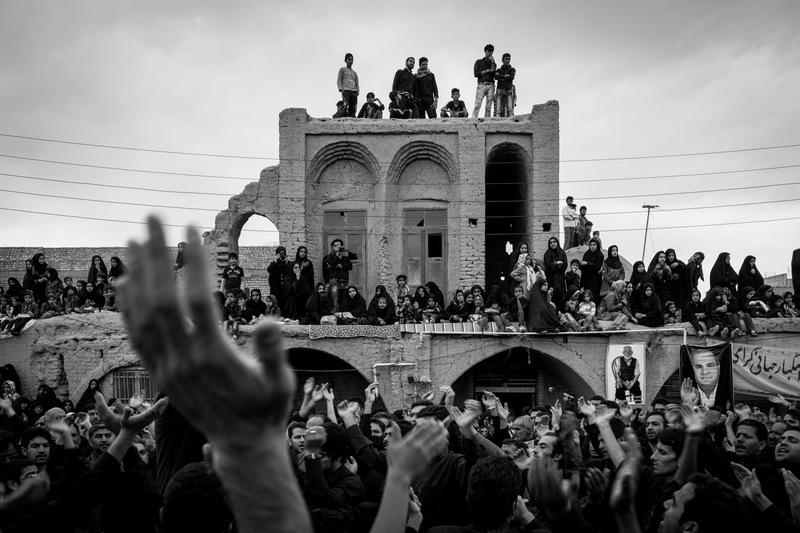 The main square of Zarach, where people from all over the area rally to celebrate Ashura. 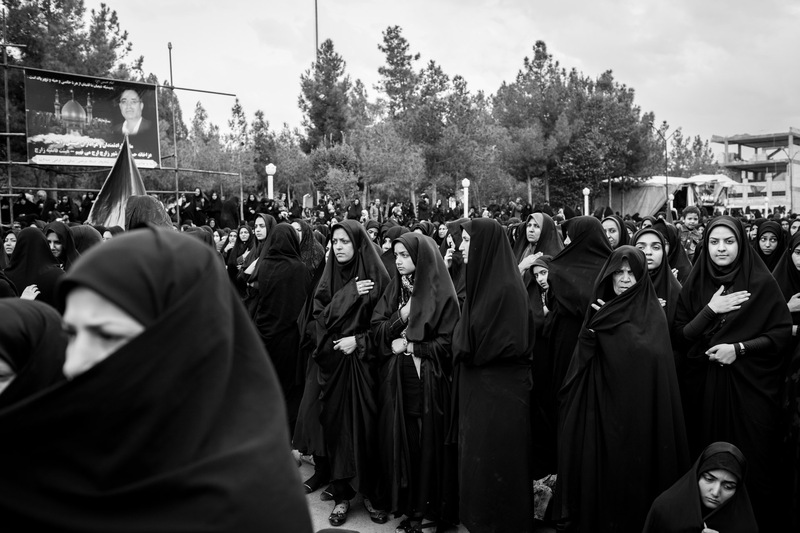 For this day, because it is a mourning day, everyone is dressed in black. 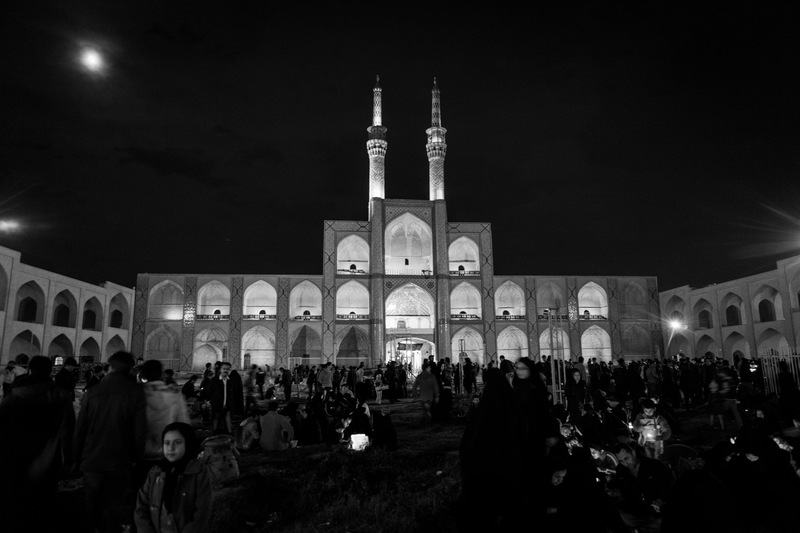 Women light candles in front of an Imamzadeh in Isfahan on the day before Ashura, known as "Tasua". 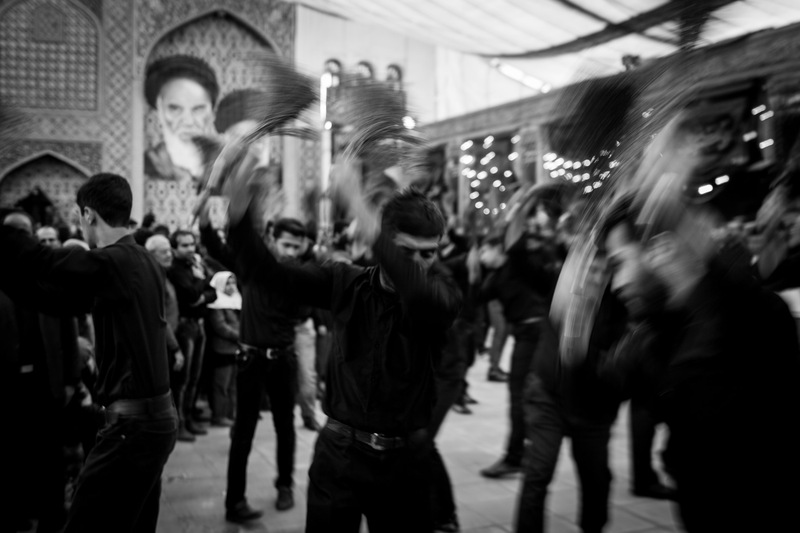 Self-flagellations in the courtyard of the Friday mosque of Isfahan during Tasua, one day before Ashura. 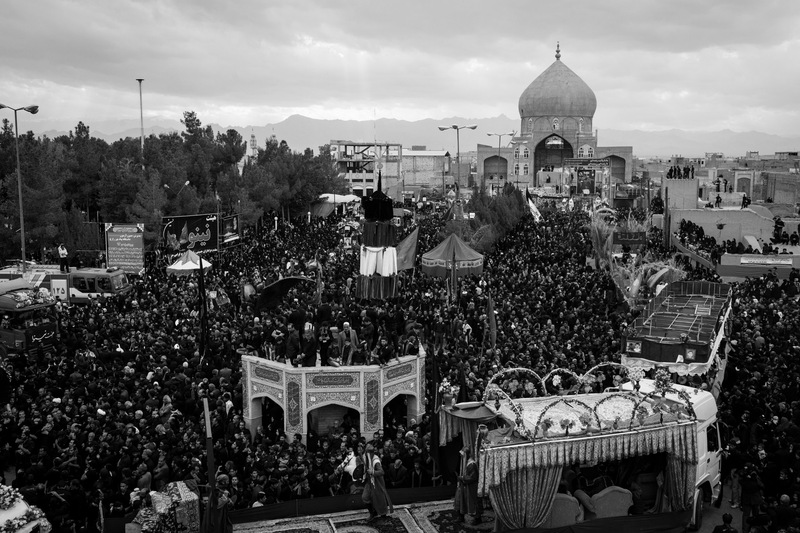 A big part of Ashura is the re-enactment of the Battle of Karbala. Visitors watch the open-air theatre in front of a mosque. 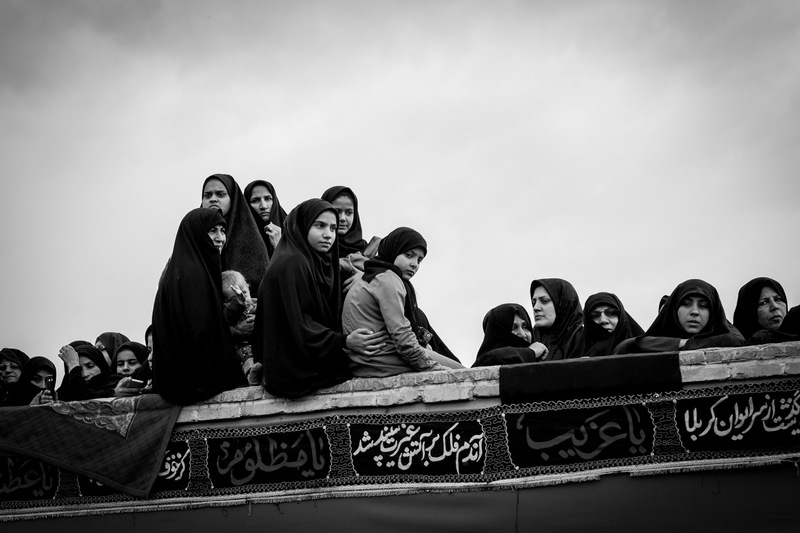 Women in Zarach observe the festivities from a roof. A woman prays along with hundreds of others at the main square of Zarach village. 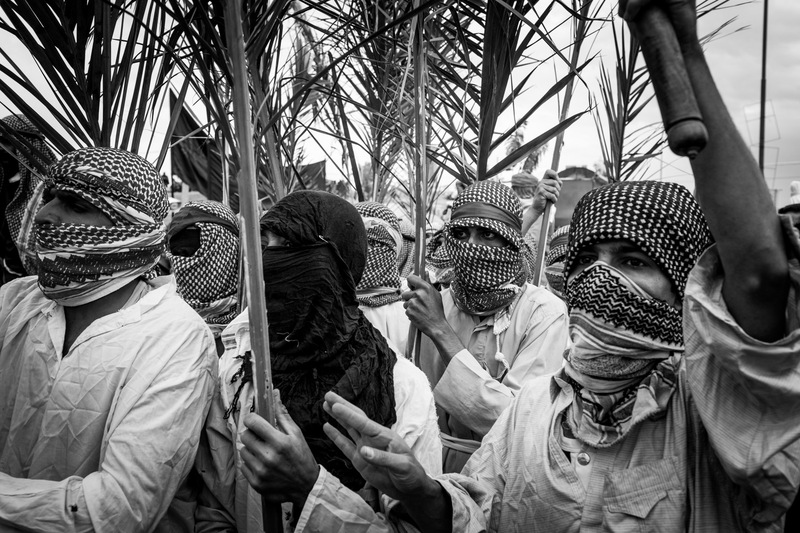 During the re-enactment of the battle of Kerbala, young men are playing the Sunni troops of Yazid I., Khalif of the Ummayyads, whose troops defeated Imam Hussain in battle. 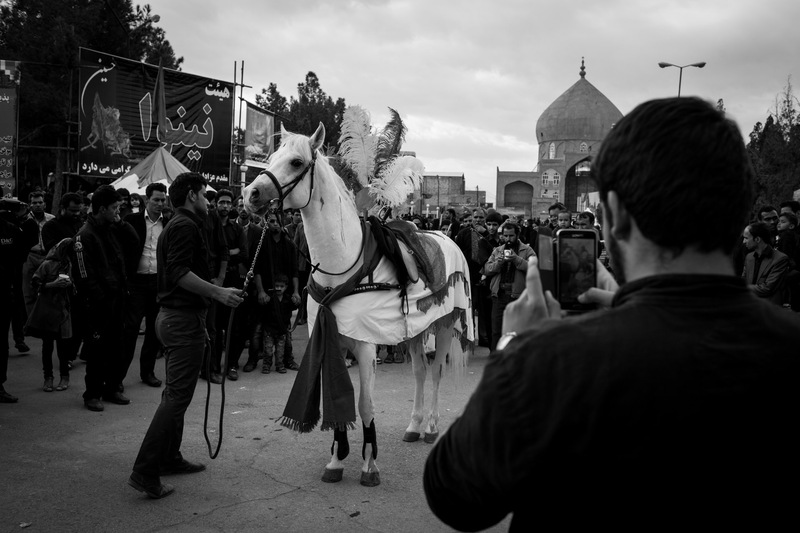 Zuljanah, the horse of Imam Hussain, is always portrayed wounded with blood stains, like its owner. People observe the festivities in Zarach during the processions. 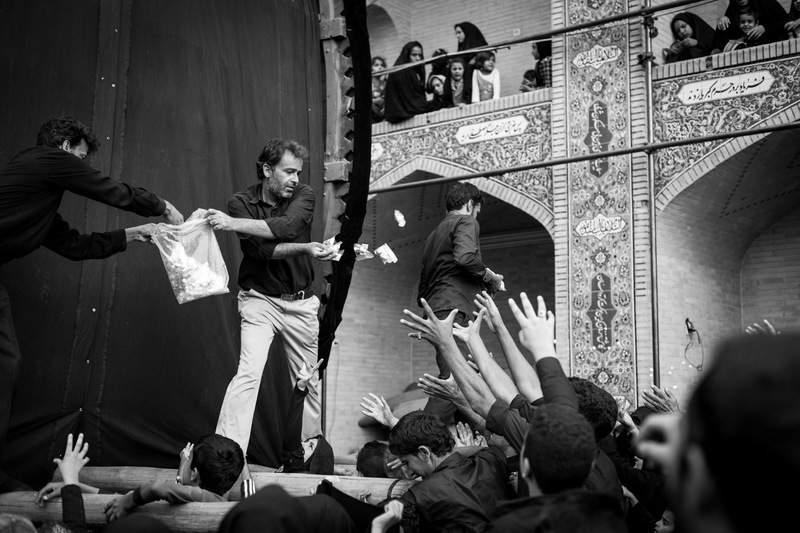 A man distributes free candy during the festivities in Zarach. 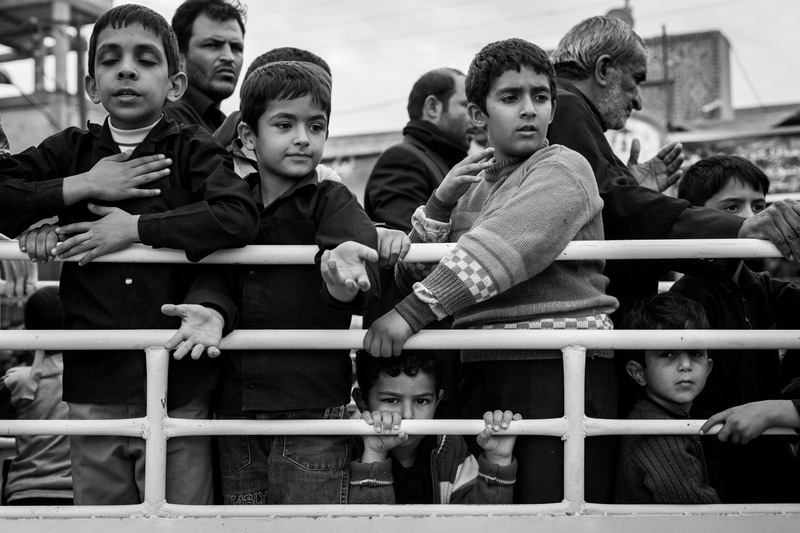 Children on a pickup truck sing chants and verses telling the story of Imam Hussain. Hundreds of men chant and sing in rhythm and give in to a collective mourning mood. 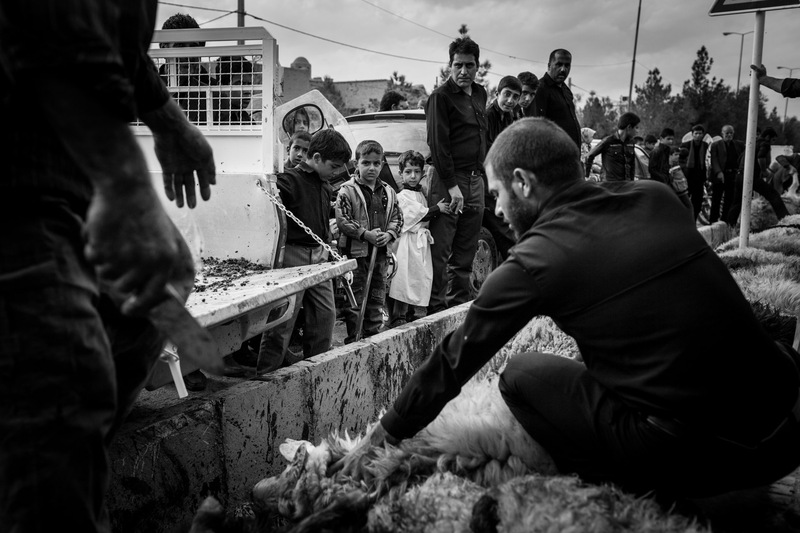 A small boy squeezes the hand of his father, while a man is busy slaughtering sheep on the sidewalk. The meat will be processed and distributed as free Kebab to the people right afterwards. 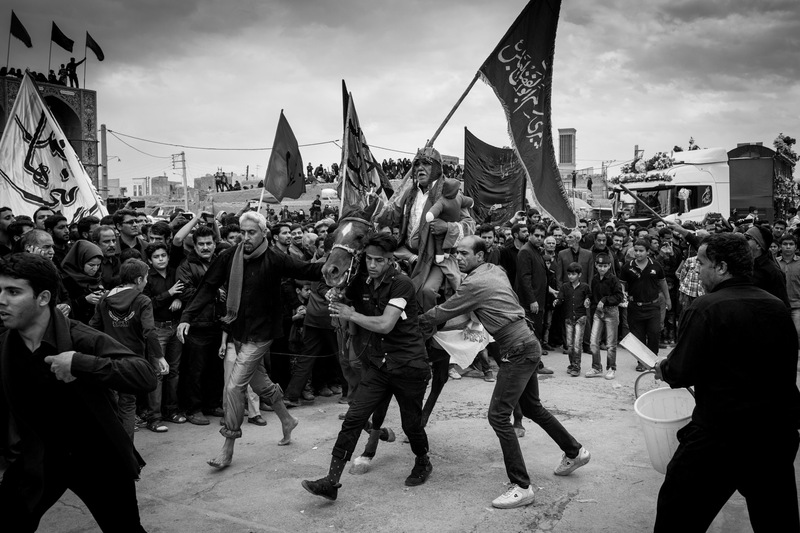 Men are pushing a horse through a crowd of people during the re-enactment of the battle of Karbala. A man is carrying holy smoke though a crowd. 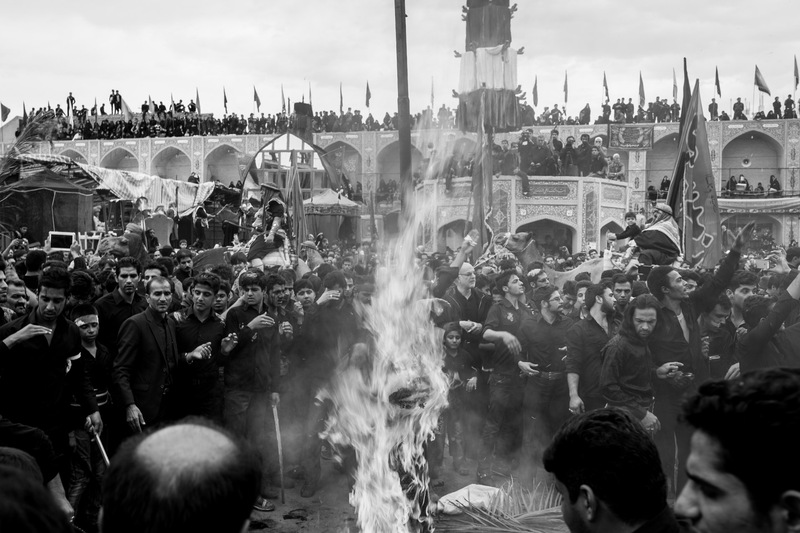 The re-enactment of the battle ends with the burning of the symbolic tent of Imam Hussain. After the tent is burned down, people try to collect small remains from it for good luck. 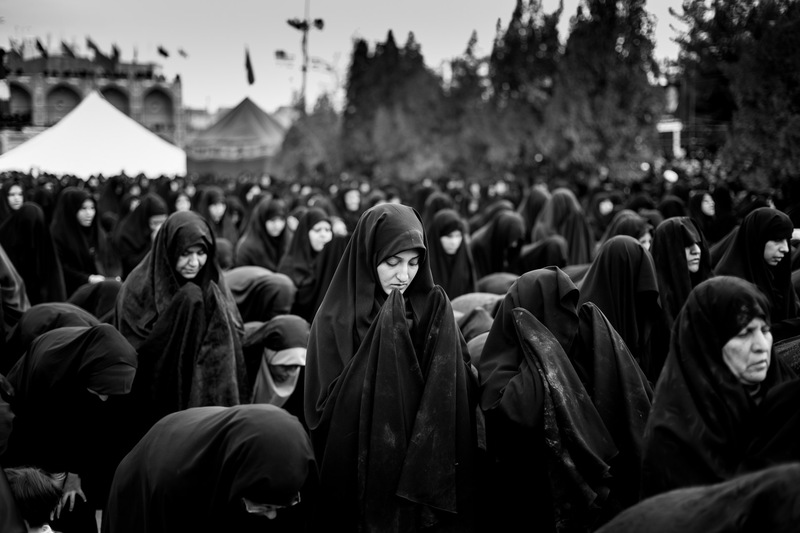 Women attend the ceremonies in Zarach. A woman holds a baby with a headband. 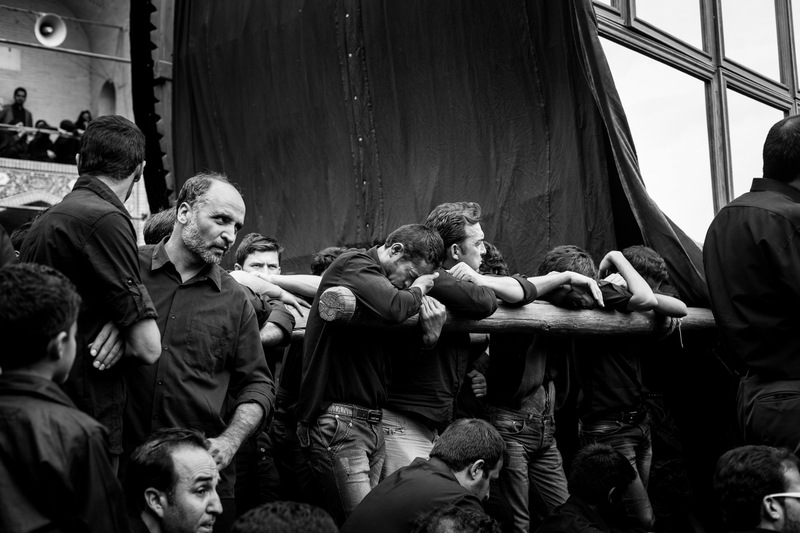 Men cry collectively for the death of Imam Hussain. With the day of Ashura ending, people come together in front of mosques or big squares to light candles collectively and to have a late meal. 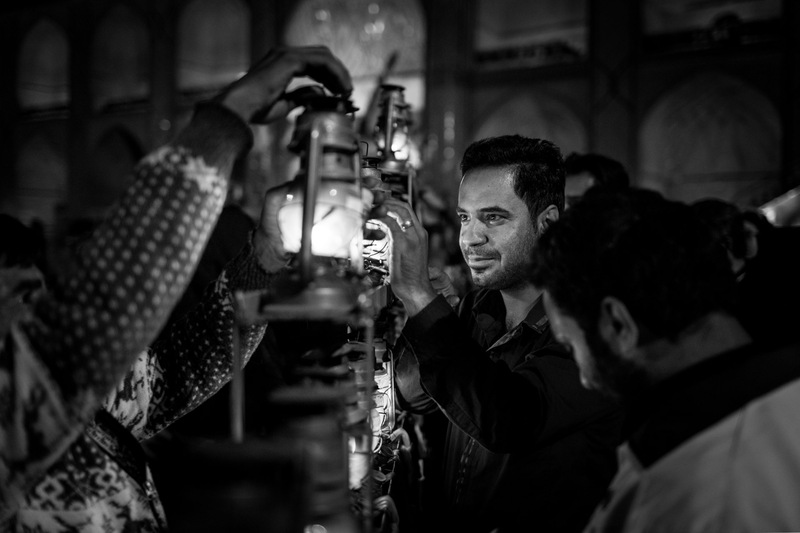 A man is lighting a candle in Yazd to make a wish. 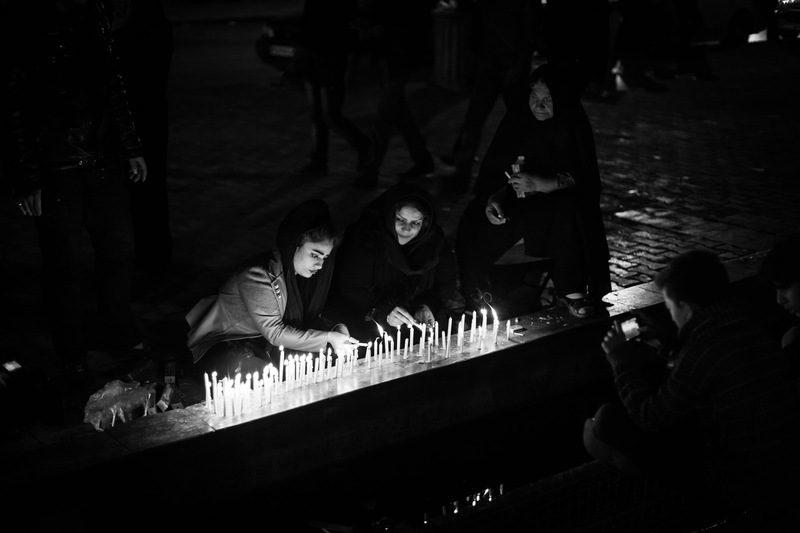 Women are lighting candles at a well in Yazd. Ashura is the highest holiday in Shia Islam and celebrated by Shia muslims in countries like Iran, Iraq, Azerbaijan, Lebanon and Bahrain. 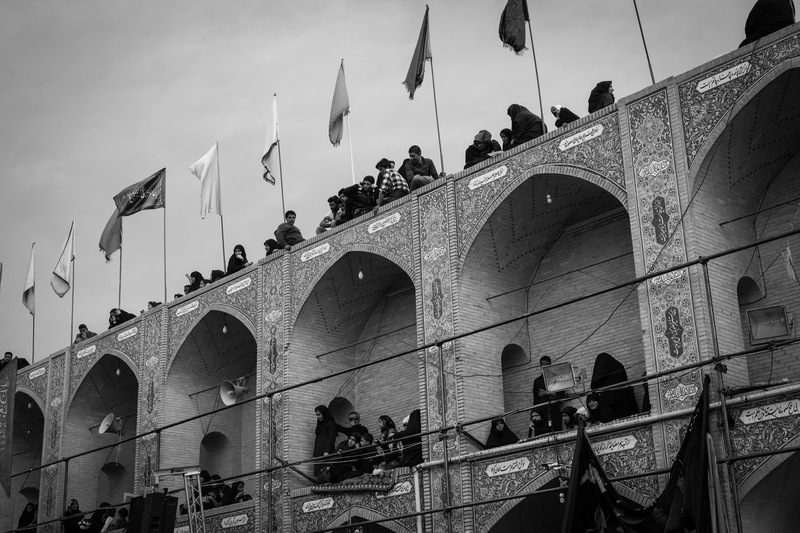 The festival commemorates the battle of Karbala, where the young religion of Islam split irreversibly into Shia and Sunni. History suggests that 3rd Imam Hussain and his 72 followers became the first Muslim martyrs in a battle against the Sunni troops that left no survivors on this fateful day in October 680. Until today, this battle has a strong influence on Shia muslims and even on local politics. 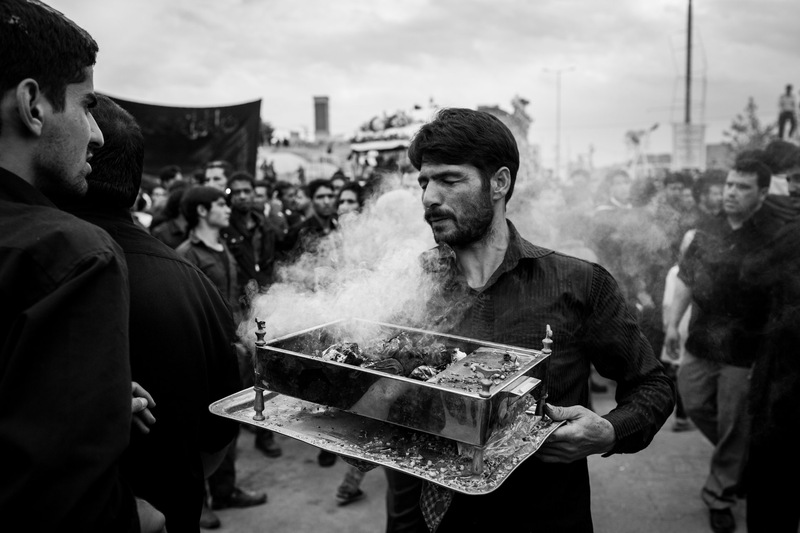 Today, Ashura is one of the biggest festivals in the Iranian calendar, with Hundreds of thousands taking to the streets. 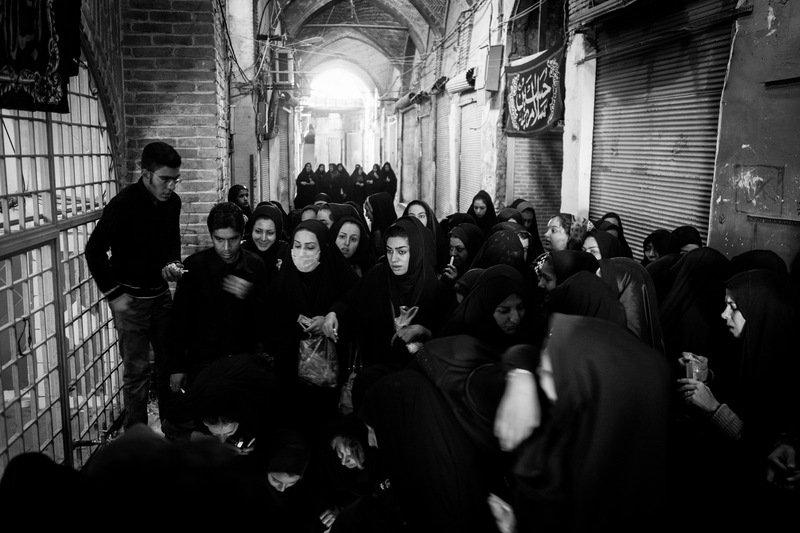 People gather in religious places like mosques, and rally for Ashura processions in the main streets of every city, town and village. The main part of the festival is the re-enactment of Hussain’s battle itself. Many people know Ashura for the self-flagellations. In Iran, these are neither bloody nor painful. 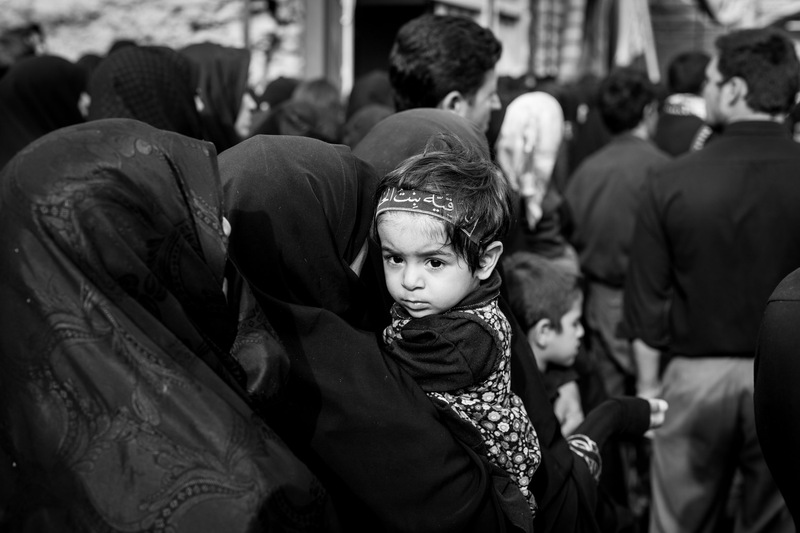 All images during Tasua and Ashura were taken either in Isfahan, Yazd and in the village Zarach outside of Yazd, Iran. 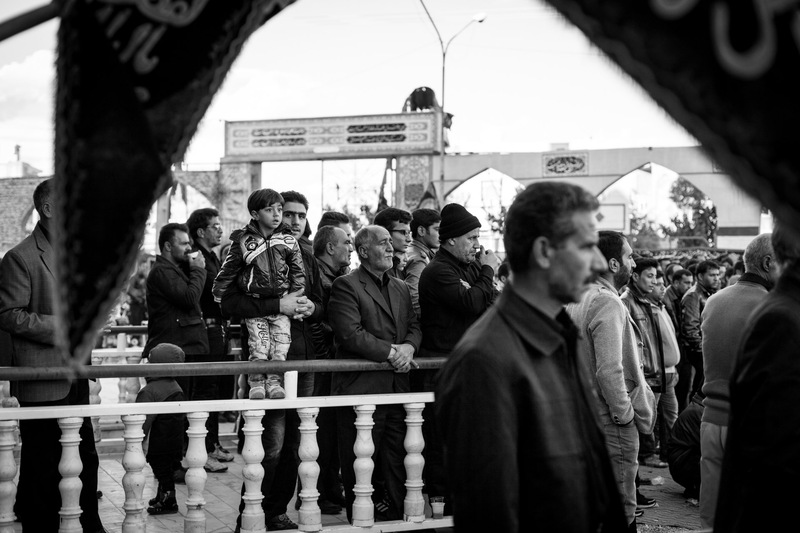 It is known all over the province for its beautiful Ashura processions.